"If you don’t adapt with the changes you will die". This is according to veteran music talent scout and CEO of Now Muzik, Efe Omoregbe. He said this with a dead pan stare in his eyes. Efe's eyes bore the hallmark of someone that has seen it all. For him to manage one of Africa's biggest Music stars, 2Face, then he surely has. For the majority of its existence, the music industry has relied on the sales of one segment of the music market - the Compact Disk. The ‘almighty’ Alaba marketers have been at the center of the production, distribution and even pirating of various music projects. Times are changing and the influence of Alaba marketers is shrinking. According to an entertainment and media outlook report released by Price Water Coopers(PWC), by 2021, people will stop buying CD’s in Nigeria (-12.4%), while music revenue from digital (20.5%) and mobile (20.6%) will experience significant increase. Patrick Onye kept looking at his hands while speaking to Bounce News. He is a frequent visitor of Alaba, where he buys music and film CDs to sell for retail and wholesale prices in one of the shops he owns. "Sales have dropped, people don’t come to buy from me like that anymore. "It's all this online thing that are killing the market, whether its music or film. People will prefer to pay 2,000 Naira subscription fee to watch films on irokoTV or Go Tv, or buy data and download music". Another Alaba faithful, Innocent Onwe, who gets his daily-bread from selling music CDs that fill his shop in the Ojuelegba area of Lagos, still has some hope. “Even though sales have dropped here in Lagos, other places in the East and in the North still make good sales, maybe I will be tempted to move my market to those places” he said. Omorogbe while speaking to Bounce News said Nigerians could stop buying CDs even before 2021. "It could happen later, it could happen earlier. It is a massive explosion as far is music distribution is concerned. "Is there going to be a time CDs as a sound carrier will no longer exist? I don’t think so. "I have seen JayZ and Asa albums even on Vinyl, but in terms of commercial figures, the CD has been on the way out since the last 6-7 years". It all started with the callertunez. Telecommunication companies jumped into the digital musical highway and hypnotized its subscribers with ring back tones. Callers were now able to listen to songs instead of the borrowing dailing tune. The PWC report showed that ring back tunes have become a big social phenomenon among Nigerians, making mobile account for 99% of digital revenue in 2016. Leaving other digital platforms on a measly one percent. Now the new Alaba in the digital race are the telecommunication companies who hold all the cards and play god over the financial gains of musicians and everyone else in the distribution chain. Efe Omoregebe gives an analogy of how the ‘slavish’ setup is rubbing off the musician the wrong way and unsettling the whole ecosystem. “The sharing ratio is ridiculous, of a N10 pie, the musician gets 75k,the label gets 75k, the person who aggregates the music content from different sources gets N1:50k. "The telcos or the platform has N7, and if you engage, you will hear the telecommunication company say that the setup cost is high, but you (telco company) did not setup to sell music. "So when you come to the negotiation table, and your making it sound like the reason you have an office in VI, in Lekki or in Banana Island, is that you set that building up so that you can sell my music, or recoup the cost of the building, the deal will not be fair for anyone including the artiste". It might seem small, but it says a lot. 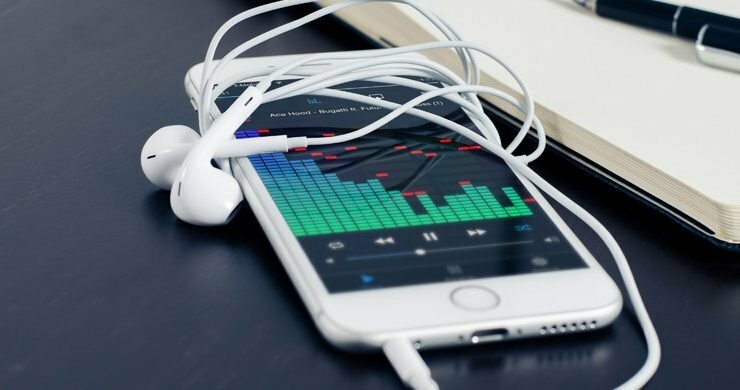 Even though digital music distribution presently accounts for just 1% of the revenue, at the end of 2018, income from music distributed digitally is projected to be $37.9million. On the flip side, music consumed on the mobile phone is expected to earn about $37.6million. It could be more or less, but this show the unlimited possibilities of a level playing field that is beneficial to musicians. For example, marketers in Alaba could continue to be a major distribution pipeline by adapting themselves to providing a new type of service. They can license music content like iTunes or Spotify or they can collaborate with technology savvy individuals who will help to provide more music via digital service platforms - Deezer, Boomplay and Tidal. "Alaba has to find its space in the new value chain. They used to own a huge chunk of the value chain, but now they don’t. "Its business, they need to find a way for themselves. Alaba needs to come up with the innovation and drive it. Alaba’s strength is in promotion. "We need more digital services. There are a lot of musicians. We need to create more digital services to tend to them. "We also need to create more awareness around digital services and change the culture of music consumption, by getting people to buy music legally", he said. Even though the musician has a lot of opportunities to make money without necessarily ‘blowing’ they still need a lot of help to grow with the times.